Premier Seamless Gutters of Central Florida, Inc.
Gutter Helmet of Central Florida, Inc.
Storm Solutions of Central Florida, Inc. In Orlando, rain gutters are a necessary piece of protecting your home from the elements. Most homes already have gutters, but older gutters and/or gutters that have been damaged in a severe storm may need to be replaced. In tougher economic times, homeowners tend to shy away from major home remodels and look at more basic home improvements and maintenance. Gutters are a great place to start, as they are the front line of defense for your home. From Kissimmee and St. Cloud to Longwood and Lake Mary, and throughout the greater Orlando area, we've helped homeowners find the right person for the job. What does the front line of defense mean? Well, they divert rainwater from your home, which sounds simple enough, but rainwater left to its devices can wreak havoc on a home. The life expectancy of your siding will almost certainly be reduced. Roofing fasteners and soffits may come worn down, and water may be able to get under your roof more easily. The biggest and most common danger, however, is the damage it can cause once it hits the ground. In low-lying and relatively flat areas like Orlando, standing water may form on your lawn during periods of heavy rain. This, in turn, can lead to a host of problems, including mosquitoes, other pests, and lawn disease. If the rainwater drains, instead, toward your home, the soil beneath your foundation can begin to erode and your foundation can become unstable. Rain gutters can be made from all sorts of materials?vinyl, wood, aluminum, and steel to name a few?but the thing that has really revolutionized the gutter industry is seamless metal gutters. No matter what your gutters are made of, the most vulnerable place for gutters is the joints between the individual sections. Seamless gutters eliminate this problem. These gutters are created by fabricated metal into the exact dimensions of your home in one long channel. It may cost a little more, but the advantages far outweigh what is often a negligibly higher price tag. So, what is this price tag. Data collected from HomeAdvisor over the last few years indicates the average cost of Orlando gutter installation is about $1,000, just a notch below the $1,100 average we register nationwide. Of course, this number may bear little resemblance to the cost of your gutter installation. Recently, we've seen projects in Orlando as low as $400 and as high as $2,000. For larger homes, project costs of three, four, and five thousand dollars are not unheard of. There is no shortage of Orlando rain gutter contractors, but you must, must, must find one that you can trust. Poor installation can cause more problems than it solves?one reason, too, why DIY installation is generally not recommended. You also don't want someone who's going to over-charge for services you could get at a better price. In fact, part of the reason we tell homeowners to get multiple estimates from contractors is to identify suspiciously low or high binds. Still, each and every contractor in our system is put through a rigorous ten-step screening process. Moreover, we provide homeowners with quality-controlled customer ratings and reviews so you can see what other homeowners have said about individual contractors and the level of customer service and professionalism they displayed. These reviews also create a powerful incentive for contractors to meet and exceed your expectations. Comment: On my property in Audibon Have gutters installed on front of house need on back - 1 straight along entire back - about 120 ft long. Possibly another project 1-2 weeks after to install on another house currently being purchased. Also a 3 house for a side part of house 50ft approx. For multi project do you offer discounts? Comment: Existing gutter sags and does not drain properly. A & J Gutters, Inc.
Orlando Gutter Cleaning & Repair Services are rated 4.66 out of 5 based on 1,138 reviews of 25 pros. 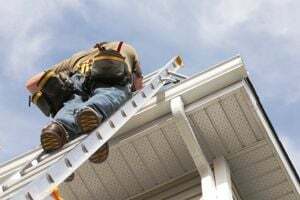 Not Looking for Gutters Contractors in Orlando, FL?